Situated in Harold H. Higashihara Park, Kamakana Playground is a quiet park that provides plenty of fun for children. The Playground is unique thanks to its heritage themed art details such as picnic tables shaped like the Hawaiian Islands, vibrant tribal carvings found on park walls and a replica of a Hawaiian canoe. Most impressive is the slide that takes guests through two and a half turns in utter darkness. 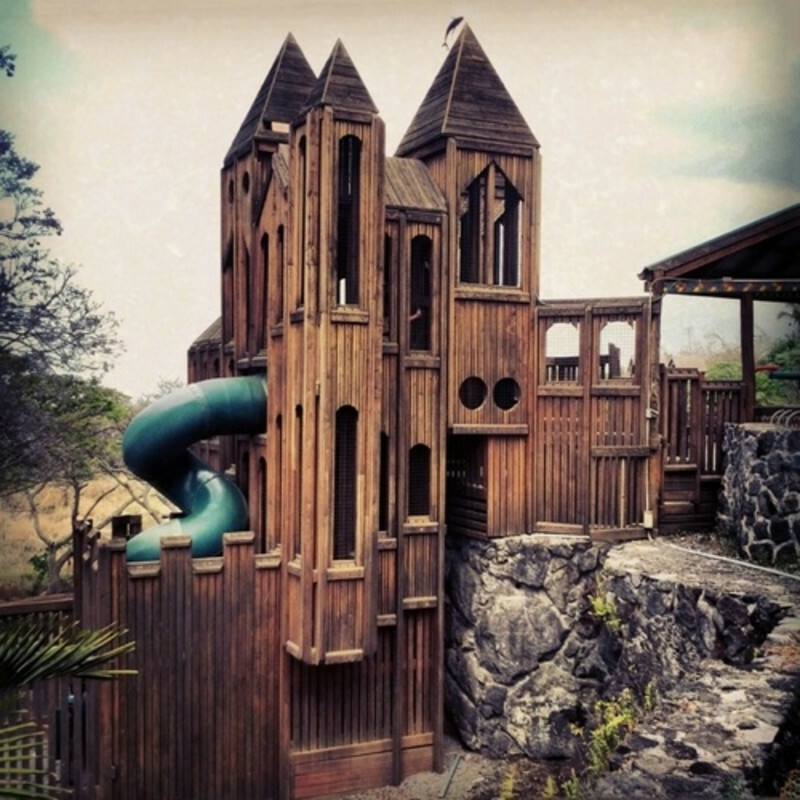 Parents will enjoy taking in the view of the ocean through the trees as their children explore the wooden castle. The family-friendly park also features tennis courts, horseshoe courts and inlaid tables for chess and checkers.